Group volunteers choose to volunteer for a day or more on a service project. Projects can range from tree planting and maintenance, to construction, to road or trail improvements. While groups tend to be focused on providing a service to help the reserve, Cloudbridge staff work to expose volunteers to a wide variety of relevant topics while we hike to and from projects, and assist with guided discoveries while we work. Weeding and planting flowers in the Memorial Garden. 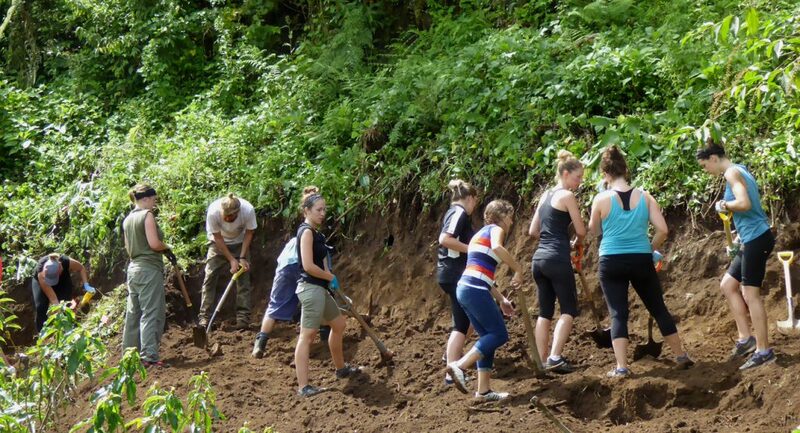 Service learning group from Québec flattening a section of hill for a new dormitory. 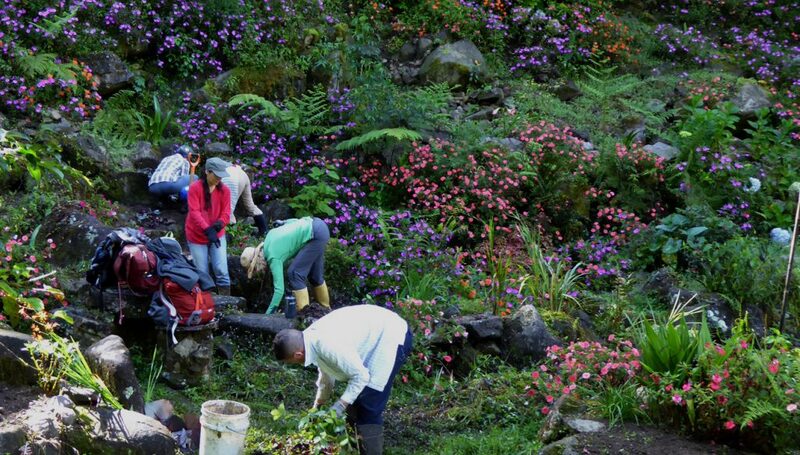 “You can help the environment and you can be a part of a group of people who make a difference on our planet. But this experience could change you as well as give you the possibility to discover yourself in a new way. 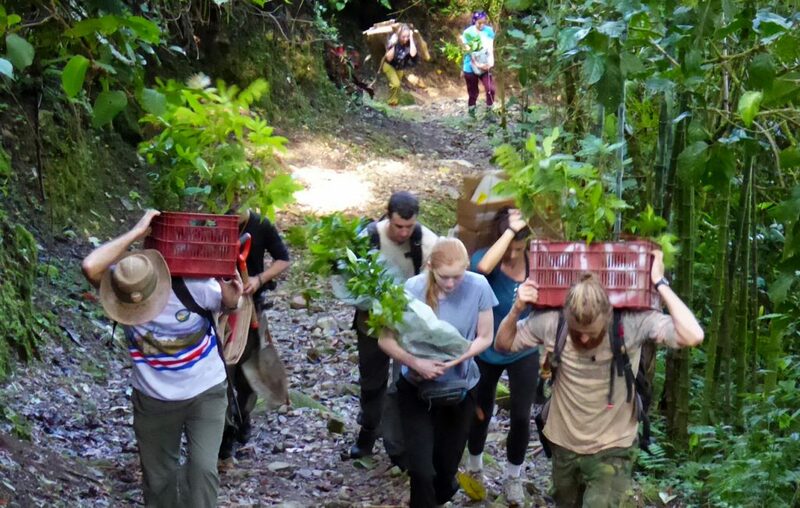 Volunteer group on their way to plant young seedlings in the reserve. Email manager@cloudbridge.org with any questions, or to discuss program activities and dates.